The state of the atmosphere at a particular place and as time regards heat, dryness, cloudiness, rain, wind, etc. is called weather. It can affect only a small area as well. If the temperature of any place is increases, then the hot air rises up and there is less pressure of air. The air starts to blow fast from the areas where there is more air pressure to these areas which is called wind. The rainfall occurs if the air carrying cloud comes in that area. 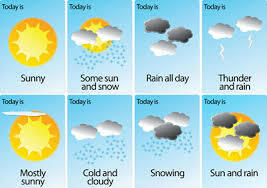 In this way, the temperature of the air, air pressure, change in cloud causes a change in weather. The climate is the average weather pattern in the certain area experienced over a long time. 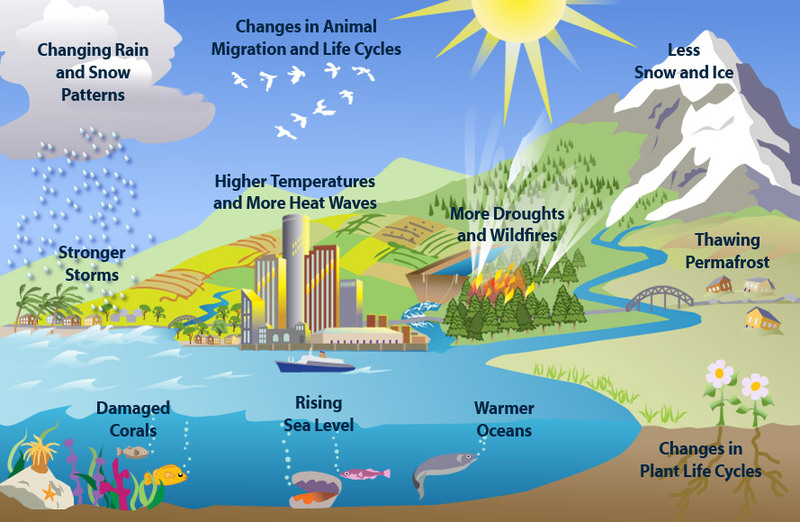 The climate is also not static and changes due to natural factors. But natural factors account for very little and slow changes only. Due to unchecked human activities the climate of the globe is changing much more quickly than it would do naturally. Such a change is called climate change, which is one of the greatest challenges the world community is facing in the modern time. Climate is the average weather pattern of the certain area experienced over a long time. Climate is also not static and changes due to natural factors. The state of the atmosphere at a particular place and as time regards heat, dryness, cloudiness, rain, wind, etc. is called weather. The average weather pattern of the certain area experienced over a long time is called ______. The state of the atmosphere at a particular place and as time regards heat, dryness, cloudiness, rain, wind, etc. is called ______. The causes of change in weather is ______. The air starts to blow fast from the areas where there is more air pressure to these areas which is called ______. Ask any queries on this note. what type of climate do you like most and why? Ask any queries on this note. what is precipitation? Any Questions on 'Weather and Climate '?